This is a lossless scalable vector image. Base size: 600 × 300 pixels. The reverse side of this flag doesn't have the crescent or star. 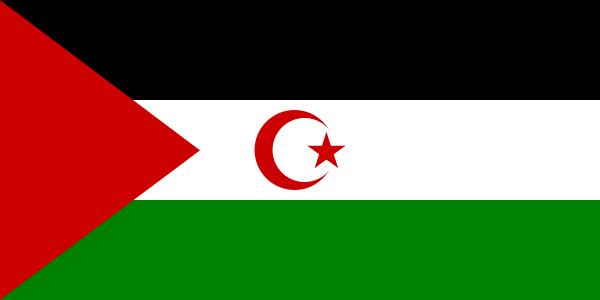 The obverse side of the flag of Western Sahara. Note that the hoist side is on the right. David Benbennick wrote this file, based on Flags of the World.